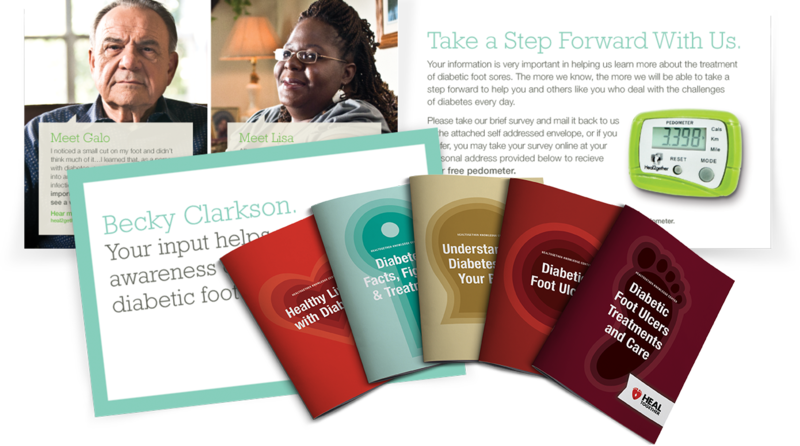 Shire Regenerative Medicine (formerly Advanced BioHealing) wanted to deliver patient education to diabetic patients with foot sores by creating a measurable awareness campaign strategy. Ultimately, they were looking to increase the number of patients treated with their wound care product Dermagraft. But a lack of awareness around the problem of foot sores meant people weren’t even thinking about solutions. People needed to understand the seriousness of their sore and how to get proper treatment from a local wound care center. In-depth focus group research revealed valuable insights about diabetic patients and the difficulties of managing the disease. 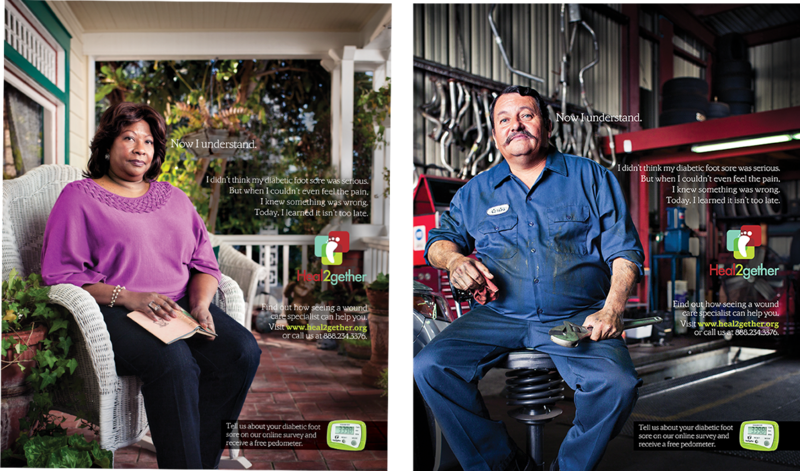 An intimate understanding of the patient persona contributed to the development of an authentic voice for Heal2gether, an integrated disease awareness campaign. 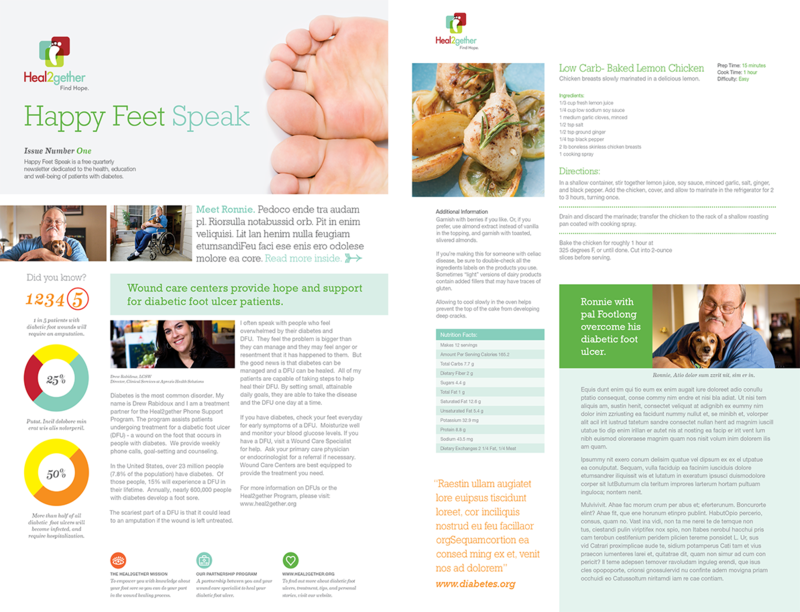 Messaging development and content were designed to motivate patients to take action. 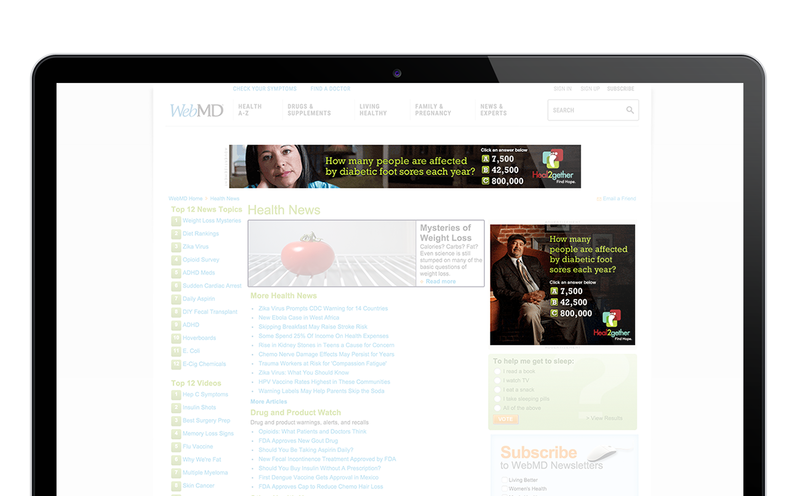 Patients were reached through both online and offline channels to develop a database of opt-in, qualified leads. 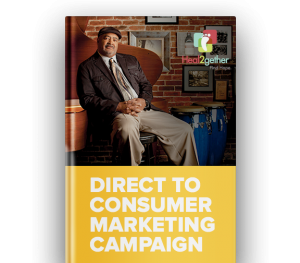 Through direct communications, they were followed throughout their treatment journey to tie marketing efforts back to product use.